I am going to gush for just a moment about my husband. I like to poke fun of him a lot in my posts. He is a really good sport about it. I tease about him being a “Yes daddy”, which he is, but he is the best “Yes daddy” out there. The truth is my husband is amazing. 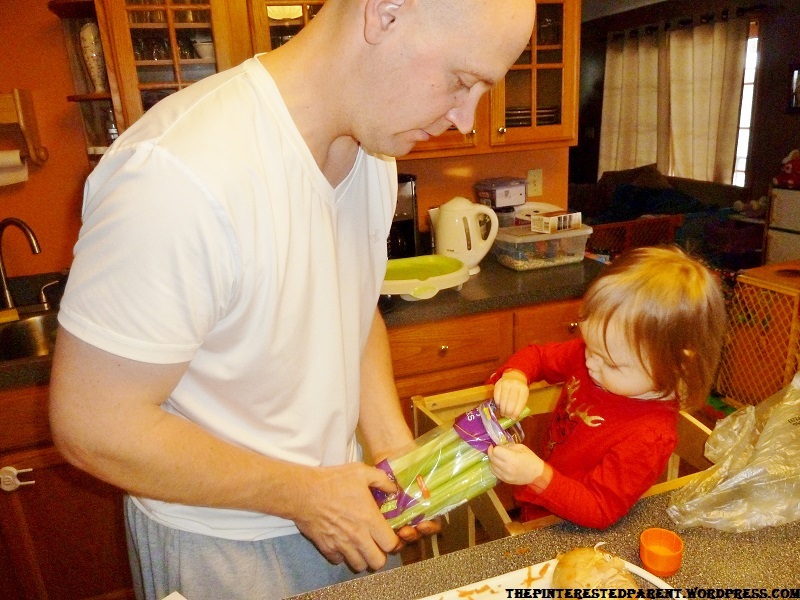 I often don’t give him enough credit for all that he does for the family. Lord knows, I am not always a picnic to be around, but he is consistently loving & supportive and I adore him for it. Let me let you in on a little secret, I am not the greatest home maker. After the birth of our daughter, my housekeeping skills have become virtually non-existent. Thankfully, my husband helps with the household duties. He does the laundry & I hate doing it. I clean the bathrooms and floors & he rarely picks up a broom. We have a great balance for keeping our happy, messy home. 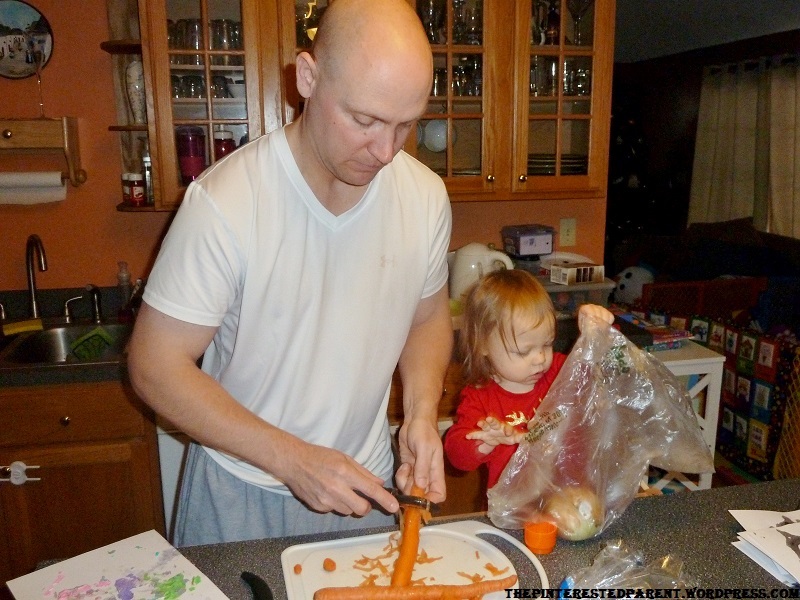 We also share in cooking duties. This weekend daddy did all the cooking. He made two of his specialties. He made his family recipe for venison mostaccioli, which unfortunately I can’t share & he made his famous crock pot turkey soup. I am not much of a soup fan. It has never been a meal that excited me or filled me up, but my hubby’s soup is hearty & delicious and I love it. It is also a healthy and low fat meal option for those watching their diets. 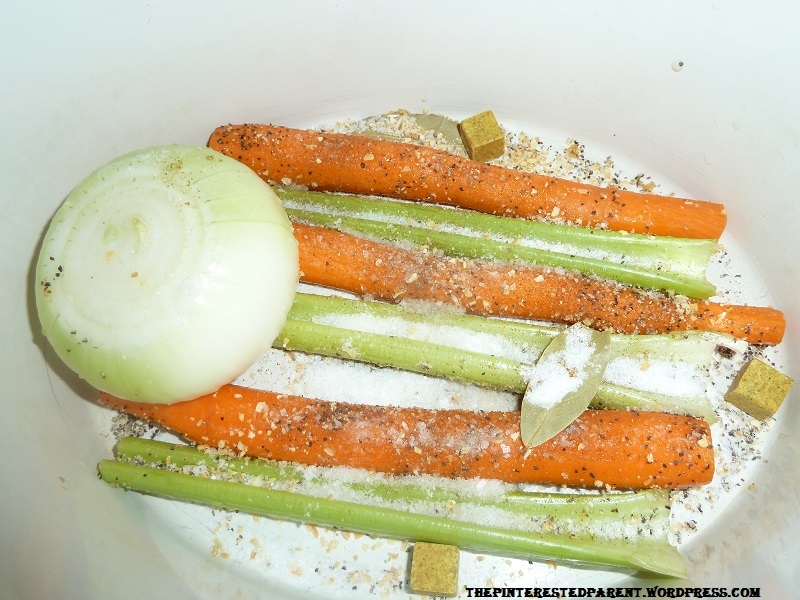 Place all ingredients except last 4 to the bottom of a 6.5 quart slow cooker, with the carcass being added last. 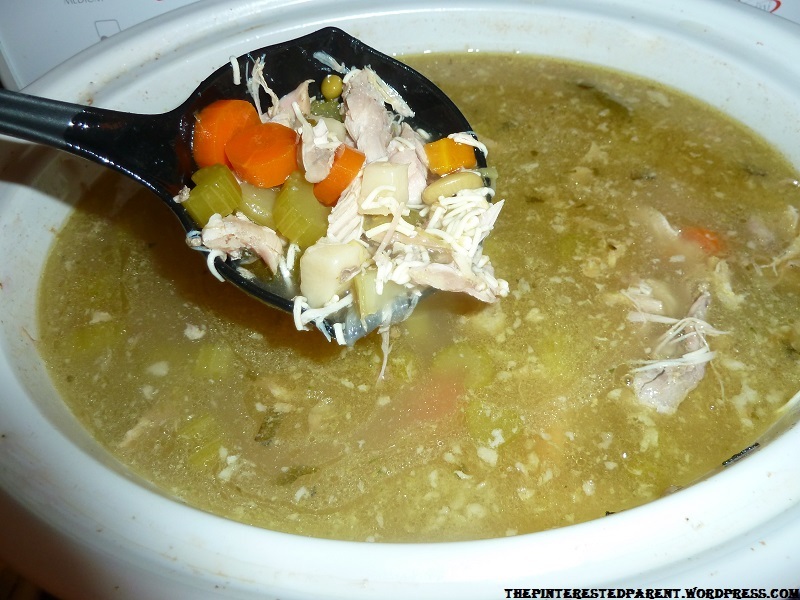 Fill the slow cooker with water. Cook on low for 6-7 hours. 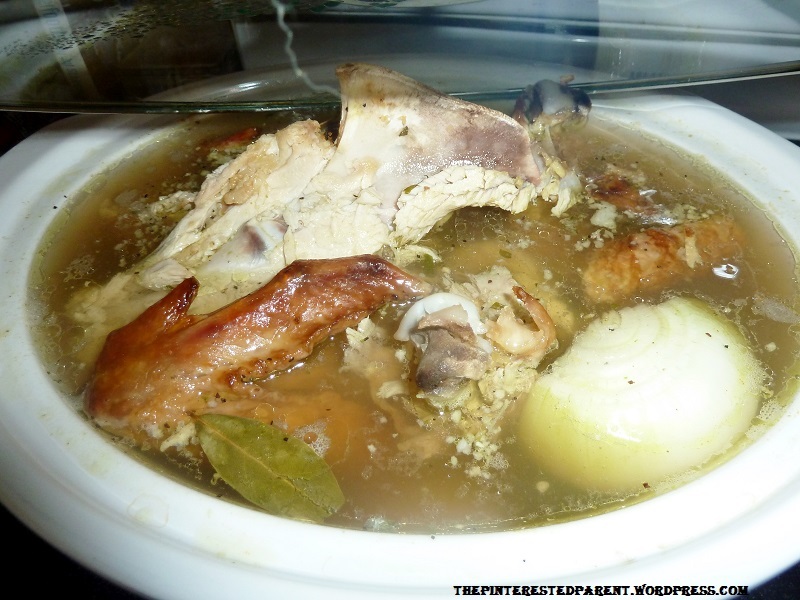 After 6-7 hours, strain the loose meat, whole vegetables & bones. Pick out the bones carefully, return the meat. 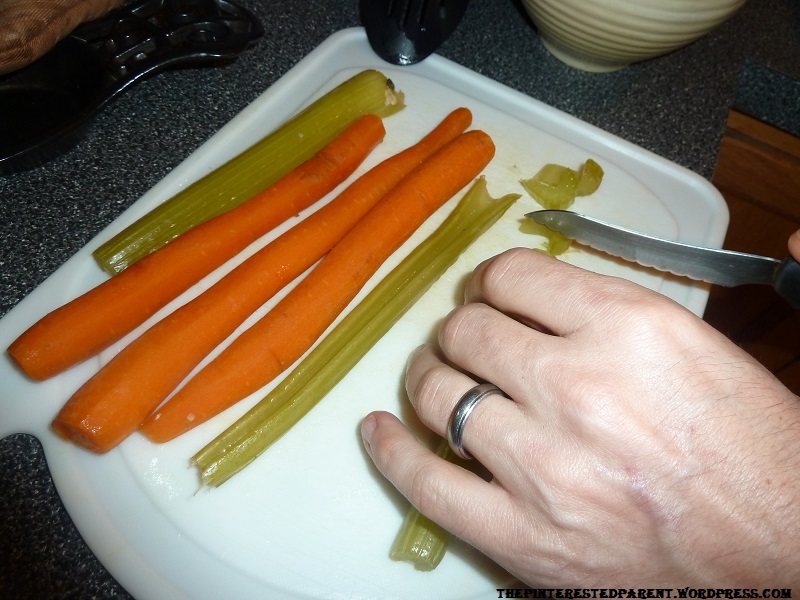 Chop up the cooked carrots & celery stalks and add to slow cooker. Add the remainder of the ingredients & cook on low for 1 more hour. The soup was delicious as always. Our picky girl even enjoyed two bowls. Thanks daddy. This looks delicious- it is wonderful to have a husband who likes to cook! Your daughter is adorable. Looking forward to following your blog! Thank you very much and thank you for the follow. It is wonderful to have such a great partner in life. 🙂 He’s a keeper for sure. It is nice. Here is to our hubbys. I hope you try it. It is delicious. Thank you for stopping by. This looks so yummy! I should get my husband to make this 🙂 He also helps a lot with cooking although only does laundry when I am feeling particularly overwhelmed. Haha. I thought it was great you posted this because I had just posted about my husband being my motivation this morning 🙂 Anyway, love your blog… thanks for sharing! I saw your post as well. That is funny. How lucky for us both, that we have such amazing men in or lives. It is a great way to use leftovers. 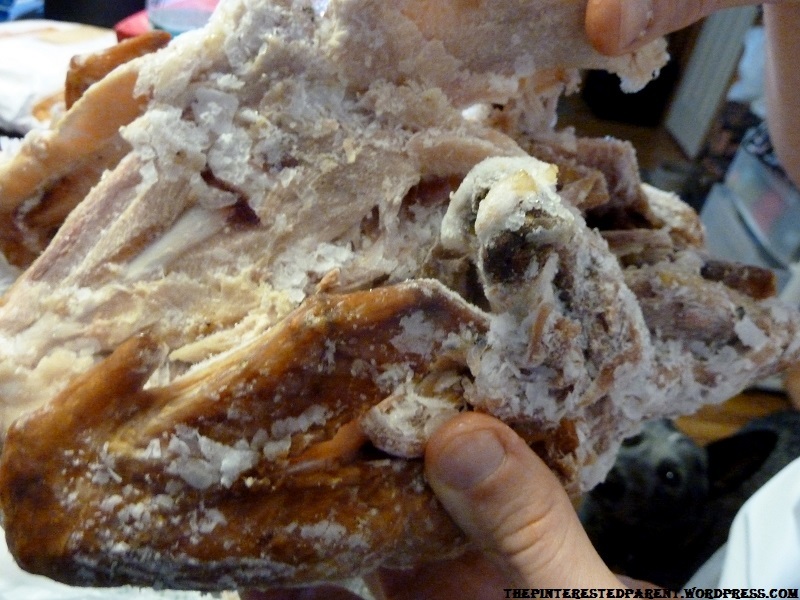 My husband gets so excited when someone has a leftover turkey or chicken carcass. Lol. Yum! I think I will have to test out this recipe. I hate roasting a whole bird (I am assuming the recipe would be just as good with a chicken) because we always end up with a ton of leftovers I don’t know what to do with. 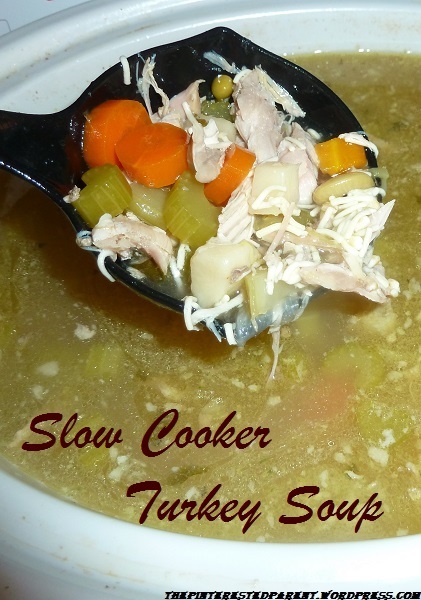 This is a great way to use it all up and have a tasty, comforting winter meal. My husband has done this with chicken as well. We eat rotisserie birds a lot and he will use that carcass too. 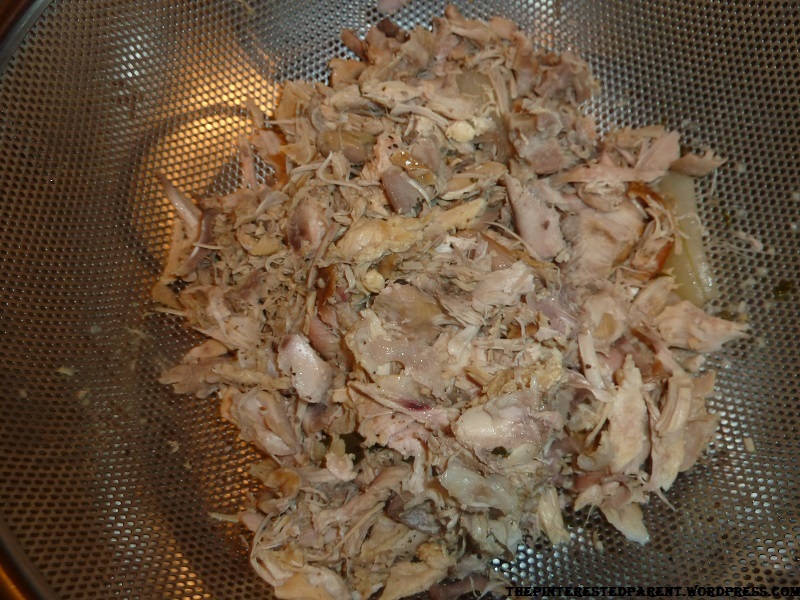 Leftover meat would probably work even better and it would alleviate picking out the bones. Thanks for the mention in your blog post! 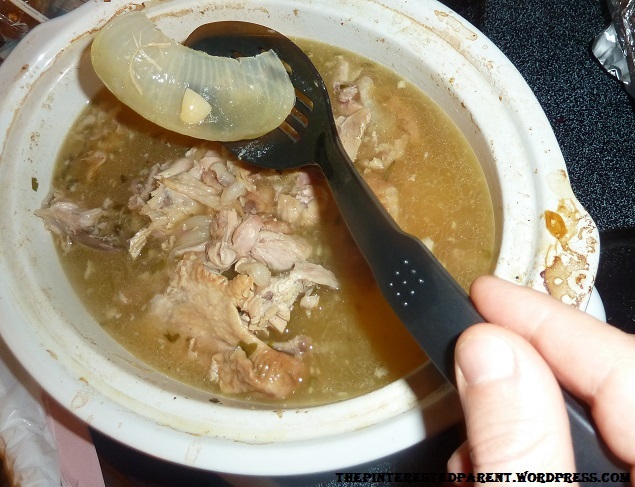 This turkey soup looks amazing. Definitely something to add to my winter rotation! How wonderful that he is willing to jump in! Working together always makes the best situation! Thank you so much for sharing this on Meandering Mondays! Have a great week!